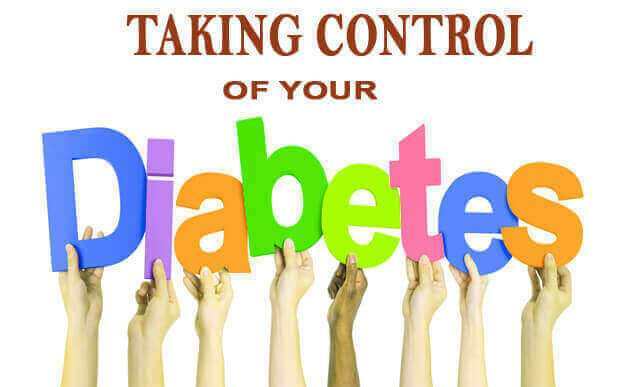 India has the dubious distinction of being referred to as the diabetes capital of the world. With over 50 million of its relatively youthful population (and potentially growing) afflicted with diabetes, instead of reaping the benefits of its much touted demographic dividend, the country actually faces a daunting Diabetes disaster. Despite growing efforts, the level of awareness about the health risks of this chronic disease is worryingly poor. What’s even worse, are the myths that prevail about the causes of diabetes and the host of do’s and don’ts that are spread around. Let’s get this straight first: diabetes is NOT caused by eating sweets or consuming sugar. It is really a ‘lifestyle disease’ i.e. the consequence of following an unhealthy lifestyle. While genetics may be a contributory factor, it is now universally acknowledged that lifestyle is indeed the most common cause of Type-2 diabetes. The result: the body becomes insulin-resistant and incapable of taking the blood glucose and delivering it to the body cells for cellular nutrition. The real problem, hence is NOT the high blood sugar, but malnourishment of the body cells. “Quick fixes” never work as they are not sustainable. Adopting a holistic approach that will work for you over the long-term is crucial. The approach should be based on understanding and addressing the root cause, rather than just the symptoms and the effects of the problem. And so, if diabetes is characterized by the body becoming insulin-resistant, we should be focused on enhancing insulin sensitivity and ensuring it starts functioning better so that there is uptake of glucose from the blood. This can be achieved by adopting appropriate lifestyle changes that focus on eating right, exercising consistently, and regulating bed timings. Isn’t it reassuring to know that diabetes can be prevented or controlled by making simple changes to how we eat, exercise and sleep? 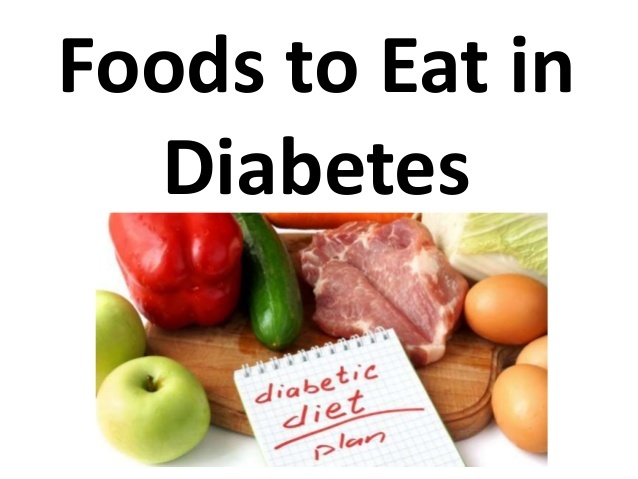 Eat frequently: Avoid fasting and feasting, often a common trait among diabetics. Eat every 2-3 hours. Eating small meals frequently ensures that blood sugar is steady, while keeping hunger at bay. Carbs are needed: A diabetic diet myth that has been around for long is to limit “carb” intake. It is important to realise that carbohydrates are essential for diabetics. (for that matter, it is perfectly fine for diabetics to drink sugarcane juice!) Just stay away from the processed/ refined variety that lend artificial sugars to your food. Continue to be friends with your traditional source of carbs such as rice, roti, thepla, poha, idli, while you dump the cereals, biscuits, chips and colas. Do add fat to a meal: Adding fat to a meal, lowers its Glycemic Index (GI). Fat slows stomach emptying, delaying the process of converting food to blood sugar. Hence, more the fat, the slower the sugars (‘carbohydrates’) are digested, and lower is the glycemic index. So include good fats in your meals like white butter/curd/ milk/ ghee/ homemade pickle/ coconut/ peanuts. Get your quota of proteins: Protein helps increase insulin sensitivity. While protein-rich diets have become popular due to the quick weight loss bandwagon, one doesn’t have to really hunt for protein in food. Have wholesome meals like khichdi kadhi, rice dal, rice dahi, egg & roti so as to have an optimal or complete protein profile. The American Diabetes Association advises to perform 150 mins/ week of exercise spread over at least 3 days/ week with no more than 2 consecutive days without exercise. Amongst all the exercises, incorporating strength training into your workout regimen is crucial to increase insulin sensitivity. Structured and progressive strength training improves how the body uses insulin and allows glucose to get around the body better. Weight training at least twice a week is hence essential, irrespective of your age, gender and profession. A study published in the journal by American Diabetes Association found that twice-weekly weight training sessions helped control insulin swings (and body weight) among people with diabetes. 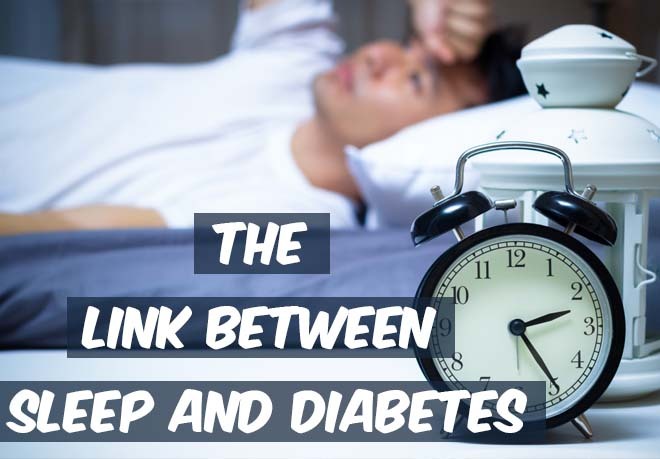 If you asked ‘what has sleep got to do with diabetes control’, you are not alone. The exact extent of the impact of lack of adequate sleep, both in terms of quantity and quality, is still being researched. However, there is sufficient scientific data to emphatically say that sleep matters! The reason is not too hard to understand. Insufficient sleep or sleeping at irregular hours causes our ‘body clock’ to malfunction and consequently affect the natural, biological processes such as the secretion of insulin that are ‘programmed’ into the human system. Therefore, ensure that you are getting good, restful sleep daily. Equally importantly, make sure that you go to bed and get up at the same time so that your body is fully in sync with the body clock. Harmony is a beautiful state to live in! 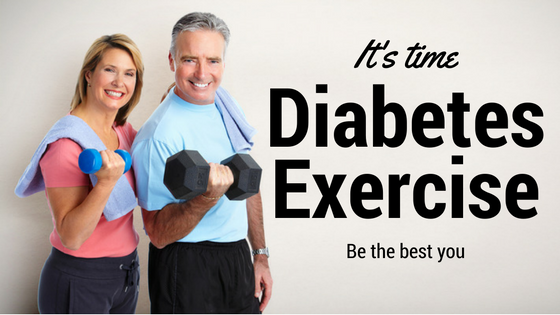 Interested in adopting a lifestyle change to counter the diabetes threat? Get in touch with us for a diet and fitness consultation and let us work together to achieve your health and wellness goals. 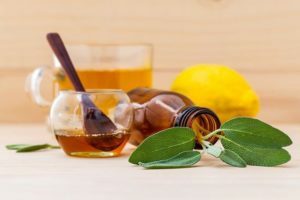 These easy to make herbal drinks, using herbs & spices from your kitchen, will make sure you enjoy the monsoon rain while keeping infection & illness at bay! Boil milk and water in 1:1 ratio. Add a pinch of turmeric, nutmeg, black pepper and ginger powder and few strands of saffron. Let it simmer till its reduces to half its quantity. Add jaggery to taste and sip on it hot or warm. Along with the rains, monsoon brings along dengue, malaria and fever. This therapeutic drink is rich in antioxidants that will build up your immunity, bring down inflammation, reduce protein and fluid loss from the body & accelerate recovery. To make the Kashaya powder, dry roast coriander, cumin and fennel seeds in 4:2:1 ratio along with 1 tablespoon black peppercorn seeds. Next, grind these dry spices to a fine powder and store in an airtight jar. To make your brew, boil a glass of water and add 1 teaspoon Kashaya powder and 1 tsp grated jaggery to it. Strain and drink it hot. Come monsoon and most of us are either down with throat infections or cough, cold and flu. Kashaya is an Ayurvedic drink that works as a decongestant and helps to clear the sinuses. It also has anti bacterial properties that boosts immunity. Add one teaspoon each of fennel (saunf) and carom (ajwain) seeds to boiling water and let it simmer for some time. Remove from flame and add honey to it. Drink this hot after your meals. According to Ayurveda, fennel seeds possess ‘Agnikrut’ qualities – that which improves digestive strength. Carom seeds are rich in essential oils, phytochemicals, minerals like copper that helps treat dysentery or diarrhoea, stomach infections, nausea that are typical of rainy season. Boil water and let the magenta coloured sepals of the Hibiscus flower infuse in it. Strain and add honey. Hibiscus blooms generously in rainy season and is an easy plant to grow on your terrace or balcony. Rich in Vitamin C , anthocyanin and antioxidants, it will keep your skin and scalp healthy and prevent any infection or itchiness that comes along with the rains. Boil water and add basil leaves (tulsi), ginger, cardamom and crushed pepper. Remove from flame and put ghee and honey. Drink it piping hot in a clay cup. Kadha is an Ayurvedic medicine for sore throat, cough, nose congestion and flu. It has anti bacterial and anti viral properties. The SCFA (short chain fatty acids) in ghee strengthens the gut microbiota and promotes immunity of the body. The minerals in clay not only enhances the taste of the drink but also works as a natural ‘detox’ and will help fight infections. Watch Aditi Saraf talk about her journey to weight loss and fitness. Once struggling with PCOD, she showed immense courage in giving lifestyle a fair chance instead of popping pills prescribed by her doctors. The result of her consistent efforts is a much confident Aditi who has lost 10 inches, is free from menstrual pains, and most importantly is happy & content. 1. Eating fresh food that is local and seasonal– Her diet was tweaked based on the seasons and based on what was available locally. From jackfruit to mango, from rice to jowar and from coconut to ghee, she had all the seasonal and fresh local food fearlessly. 2. Planning for meals– Being a working woman and a frequent traveller, her meals were planned in advance. She learnt that to lose weight it is important to nurture her appetite and not suppress, to eat lovingly and not deprive. 3. Exercising consistently– Instead of shifting from one exercise to another in search of weight loss, she learnt to stay consistent with the one exercise she chose to begin with. Structured and progressive exercise plans ensured she increases her lean muscle mass to look fit & toned, not just thin & skinny. 4. Regulating bed timings – The most crucial for weight loss and maintaining hormonal balance is sleep. Keeping all electronics away at least an hour before bed & regulating bed timings, enabled her to wake up fresher and more in harmony with her own self. Interested in adopting a lifestyle change to counter hormonal imbalance and PCOD? Get in touch with us for a diet and exercise consultation and let us work together to achieve your health and wellness goals. HOSPITALS AND ITS UGLY FAST FOOD CULTURE! This picture is not from any shopping mall. This is from a renowned, multi-speciality hospital in Mumbai. 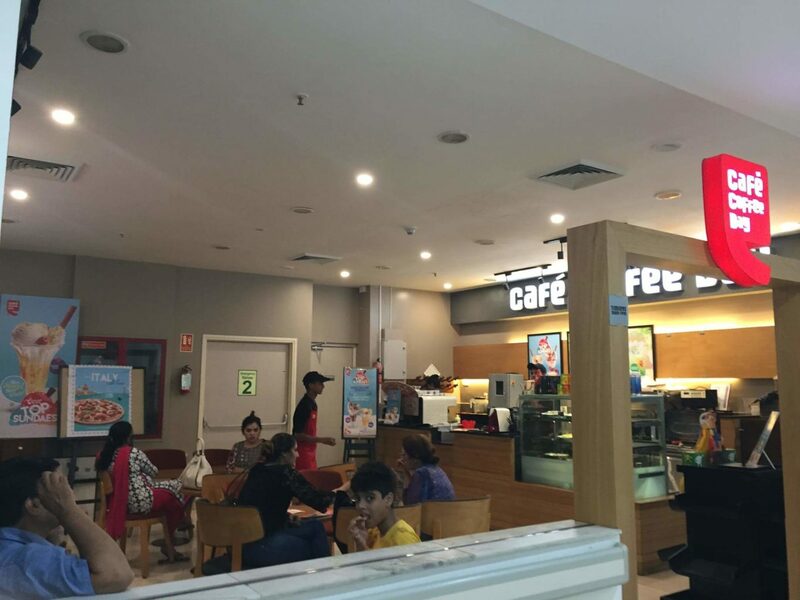 Yes, hospitals in big cities, trying to be in sync with the global culture of coffee houses and its chains, have become a replica of food courts in malls housing big, domestic and international, fast food chains serving packaged, processed food. The pre- packed food (puffs/ pastries) and fast food culture of pizzas and burgers, by the way, is one of the major reasons why someone would even need a doctor and therefore, land in a hospital! I happened to be at this hospital last week. One could locate a franchise café at each floor whereas there is this SINGLE canteen in the entire multi-storied building serving healthier meals like poha, idli etc. To reach to this SINGLE canteen, one would have to spend half an hour minimum, through the elevator traffic (the staircase was kept locked, conveniently) and time constraints do not make this an affordable option at all times. Hence, they are either forced to eat this pathetically low quality, insanely priced food made easily available at each floor or simply starve – both being equally dangerous and unhealthy for the patients and visitors alike. Modern day hospitals, unlike earlier, do not allow outside food (homemade or otherwise) and it further adds to the agony. On one hand, we as a nation, are talking about climate change issues and on the other hand, important institutions like hospitals are simply contributing to landfills & plastic pollution with these cafes serving bottled mineral water/ juices/ aerated drinks and fast food wrapped in plastic films, on plastic plates. Not long ago, almost each family in India had its own secret recipe of making its pickles. These recipes were meticulously passed down to the next generation who treasured it only to continue this legacy with it’s future generations; very much like a piece of heirloom jewellery, unique and priceless, that is passed down from generation to generation. Then around the 1970s, some 40 years back, people authorized to give health/ diet advice started questioning this very heritage for the salt/ oil/ and spices it contains. Women folks getting together for the annual pickle making ritual gradually started becoming a rare sight. On the other hand, fermented foods (specifically lacto-fermentation) today have gained popularity worldwide as people have started discovering its health benefits along with the great taste it offers. Tabloids and health blogs are dutifully reaching out to the ‘health-conscious’ informing them about its ‘probiotics’ benefit. Celebrities are being roped in to endorse ‘probiotic drinks’ packed in fancy bottles, calling it the new ‘superfood’. 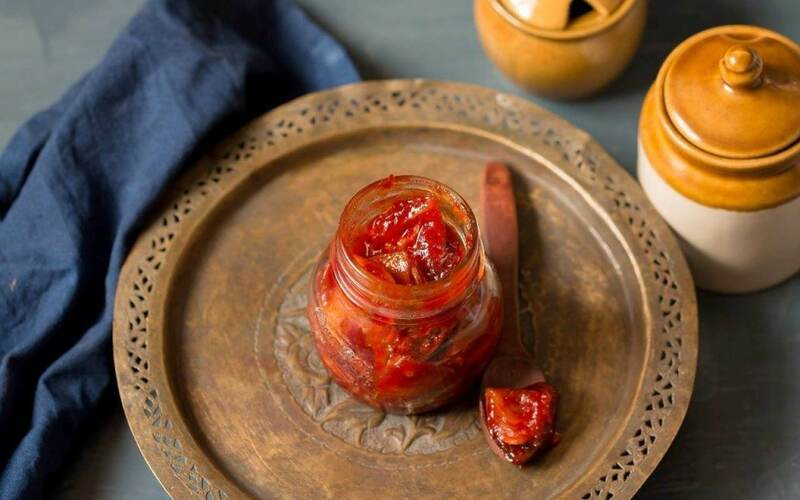 Amongst all this fuss, what is not being promoted and endorsed is the ‘probiotic-rich’ pickle our daadi-naani made through the same process of ‘lacto-fermentation’ that is gaining popularity worldwide. The salt she adds, aids in controlling the fermentation process, the oil acts as natural preservative and the methi/ jeera/ dhania have anti – microbial properties that also enhances the taste. 1. Fights obesity & diabetes– Our fast paced lifestyle heavy on packaged/ processed food upsets the balance of our gut microbiota. New researches link the changes in our “gut flora mix” with an increase in obesity and diabetes. The ‘live’ probiotics in homemade achaar helps restore the diversity and strength of the gut microbiota, accelerates fat burning and increases insulin sensitivity. 2. Fights bloating– By providing just the right strain of bacteria, it helps in relieving bloating and makes you look thinner on your tummy. 3. Stimulates Vit B12 & Vit D– Encourages production of Vit B12 & Vit D3. If your blood reports have declared you deficient in these vitamins, do take a vitamin shot of your homemade achaar! 5. Boosts immunity – It creates acidic fermentation by-products in the body and lowers the intestine’s pH at a level where it is difficult for any “bad” bacteria to survive. The “good” bacteria it contains secretes anti-microbial proteins that kills off “bad” bacteria and boosts immunity of the body. So what are you waiting for? Just pickle it up!